As we start off the short week, we can’t help but dream of the Easter long weekend ahead. And long weekend planning means looking at the weather pattern to see if it’s patio appropriate yet. This park in Montreal is being renamed to honour Martin Luther King Jr. 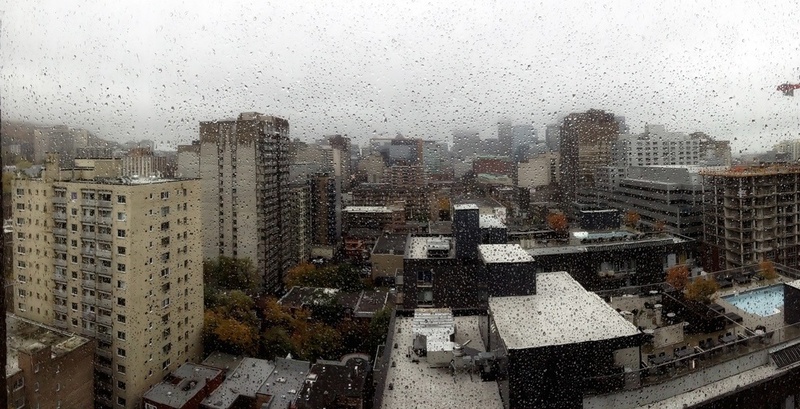 According to The Weather Network, Montreal will deal with four days of showers and clouds with ‘feels like’ highs of 22ºC. It won’t be that enjoyable sunshine heat, but at least it’s better than snow. This Thursday (which will act a pseudo Friday), the weather website predicts 11ºC and cloudy before Friday and Saturday which both can expect to see up to 10 mm of rainfall. 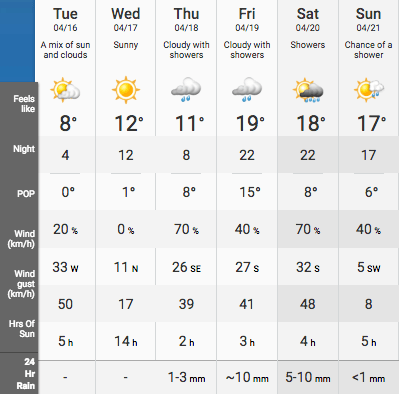 Easter Sunday is forecasted to bring sunshine, 17ºC, and five hours of sun. As you plan the forthcoming Easter egg hunts, don’t forget to include rubber boots and umbrellas.